The framework contract runs for seven years and includes an option for the supply of a further 105 Elefant 2 vehicles. This means a total order value of €122 million (including VAT) for 137 vehicles. Following the Bundeswehr’s award in July 2017 of a major contract to Rheinmetall MAN Military Vehicles for unprotected transport vehicles (“Ungeschützte Transportfahrzeuge”, or UTF), the latest order is another major sales success for the company in Germany. With the Elefant 2 on the way, the Bundeswehr’s family of heavyweight transport vehicles continues to grow. 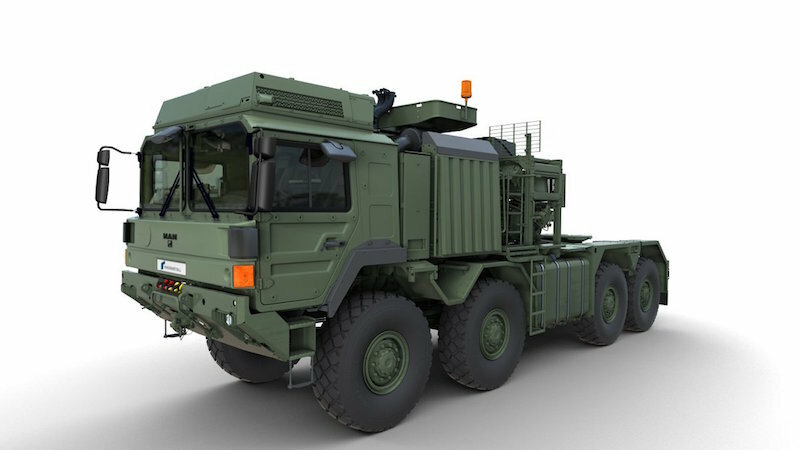 The unprotected Elefant 2 complements the protected Mammut heavy-duty transporter, likewise supplied by Rheinmetall MAN Military Vehicles. Particularly in light of Germany’s obligation in 2023 to furnish NATO’s Very High Readiness Joint Task Force (VJTF 2023), being able to transport heavy combat vehicles will be a key capability.